For what it’s worth, Mercer’s global 2011 Quality of Living Survey is out. European cities dominate the annual quality of living ranking, despite the ongoing economic crisis and uncertainty in the eurozone. 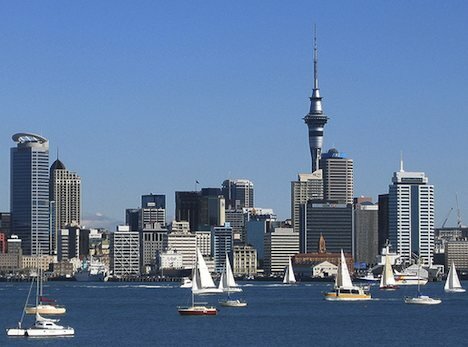 Cities in New Zealand, Australia and Canada also feature prominently at the top of the list of cities surveyed. Vienna takes out the top spot for the quality of living ranking, with Zurich in second and Auckland at the opposite end of the world taking out third spot. Munich places fourth, and Vancouver and Dusseldorf share fifth place. This year Mercer also ranked cities for their personal safety. In this list Luxemburg takes out the top spot, with war-torn Baghdad unsurprisingly last among 221 cities ranked. Bern, Helsinki, Zurich and Vienna are ranked second to fifth in the personal safety stakes. Mercer noted that economic uncertainty around the world has helped “provoke social and political unrest of varying degrees in many urban areas” during the past year. Apart from the events of the ongoing “Arab Spring”, and upheaval in North African and Middle Eastern countries, even usually calmer and stable urban areas, such as North American and Western European cities, have seen (mostly peaceful) civil disobedience. How does your city fair in these global quality of living rankings? If these rankings have any validity at all, I find myself in the very fortunate position (really by accident of where I was born, raised and educated, and where I have been able to live and work), to have been living for the past 17 years in Sydney, Australia, which sits in eleventh spot in the quality of living rankings. I’ve also recently moved from Sydney to Auckland, New Zealand (I was born in New Zealand), which apparently is now the third ranked city in the world for quality of living! Quality of life was certainly one of the reasons I moved with my family to Auckland from the much larger city of Sydney. I now have zero reasons to complain about life, so call me on it if I do. A list of the top 10 cities is below. A full list of cities rounding out the top 50 can be found here. Nice photo of the third placed city. Auckland. The best Southern Hemisphere city in the Mercer Quality of Living Survey.